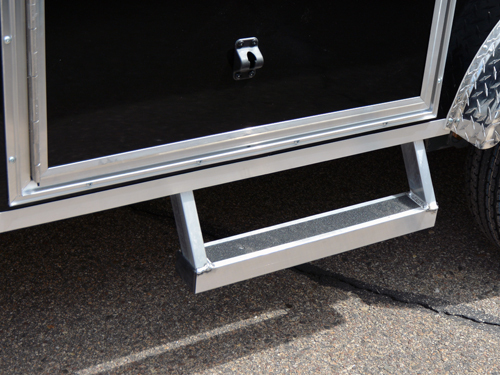 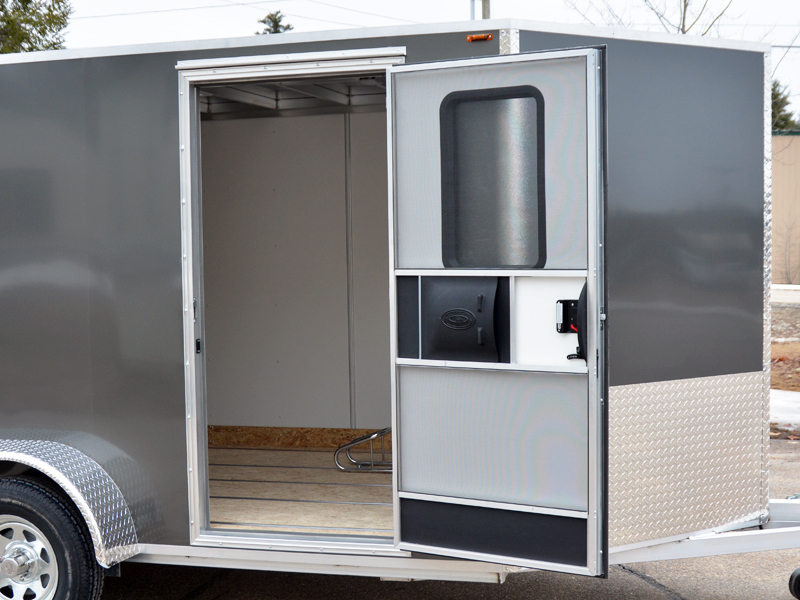 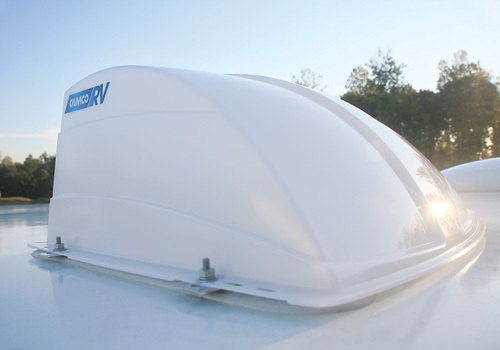 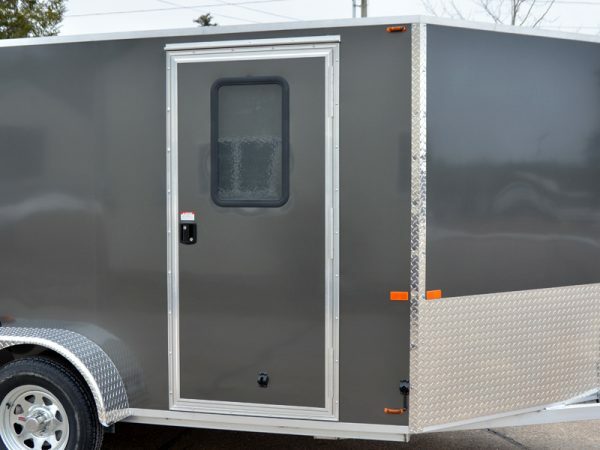 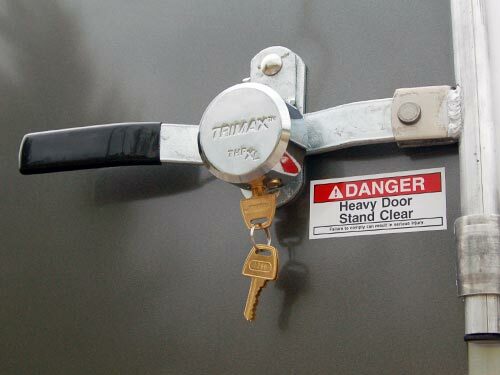 Make the most out of your trailer in the summer time with the Camper Style Side Door Upgrade! 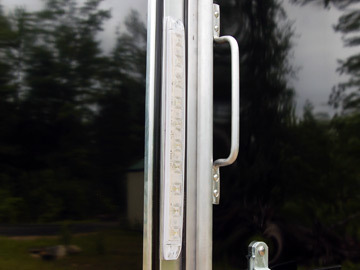 Just like our standard door this side door comes with a double seal to keep the weather out as well as a double RV style lock with a built in deadbolt! 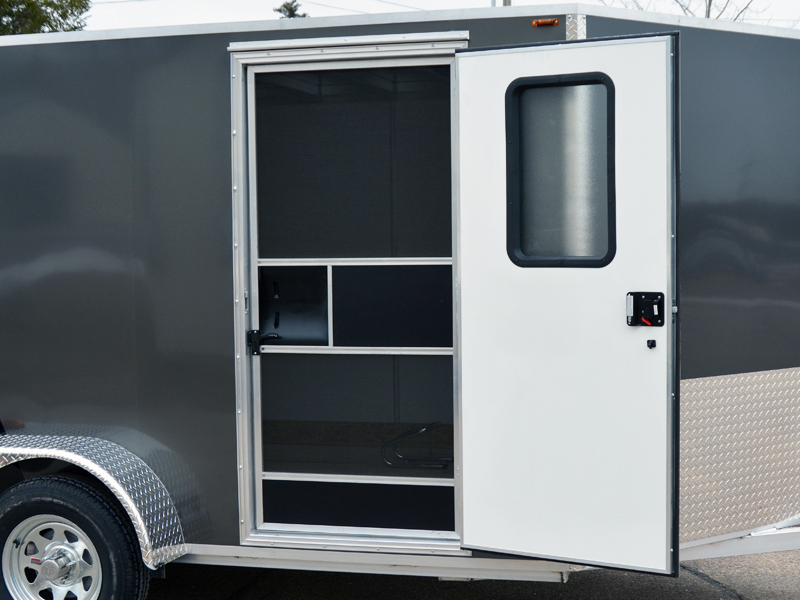 What sets this door apart is the privacy glass window and built in screen door!